A payment is the transfer of money from one party (such as a person or company) to another. A payment is usually made in exchange for the provision of goods, services or both, or to fulfill a legal obligation. The simplest and oldest form of payment is barter, the exchange of one good or service for another. 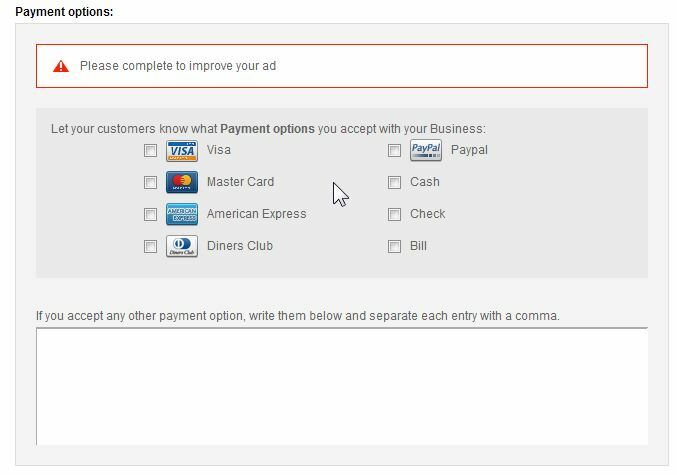 In the modern world, common means of payment by an individual include money, cheque, debit, credit, or bank transfer, and in trade such payments are frequently preceded by an invoice or result in a receipt. 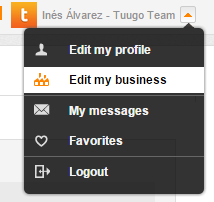 In order to add Payment Options, mouseover on your username, and click on Edit my business from the dropdown menu. 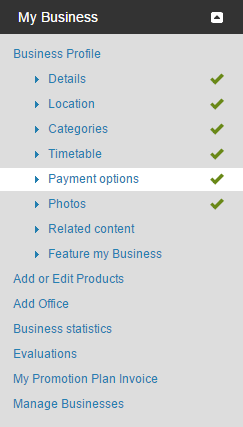 The options that you select will be shown in your listing, so your users can see them.